(TibetanReview.net, Sep17, 2018) – The Dalai Lama has let it be known Sep 16, arriving in The Hague for the second leg of his four-nation tour of Europe, that he had learnt about the sexual assault allegations against some Tibetan Buddhist masters in the West as far back as 25 years ago. And he has made it clear that such teachers don’t care about the Buddha’s teaching. “Twenty-five years ago… someone mentioned about a problem of sexual allegations” at a conference for western Buddhist teachers in Dharamshala, a hill town in northern state of Himachal Pradesh in India, the AFP quoted him as saying. People who commit sexual abuse “don’t care about the Buddha’s teaching. So now that everything has been made public, people may concern about their shame,” he has further said, speaking in English. Earlier, on Sep 14, the Dalai Lama had met with four claimed victims representing a group of 12 in Rotterdam, the Netherlands. Following it, participant Oane Bijlsma was quoted as saying, “What we want from him is that he is very clear about the fact that religious leaders in the Tibetan Buddhist tradition are not above the law” despite supposedly tradition-backed claims about their behaviour being beyond good and evil. 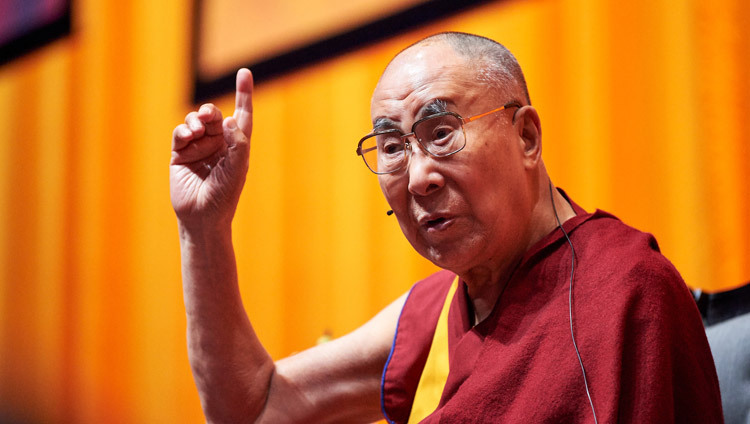 The AFP report cited Tseten Samdup Chhoekyapa, a representative of the Tibetan spiritual leader in Europe, as saying earlier on Sep 13 that the Dalai Lama “has consistently denounced such irresponsible and unethical behaviour”.